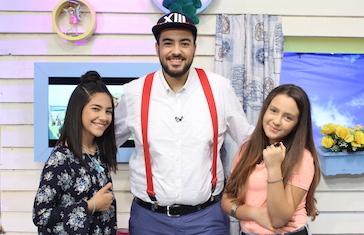 Three young Presenters from SAT-7 KIDS are shaping the future of the Middle East and North Africa (MENA). 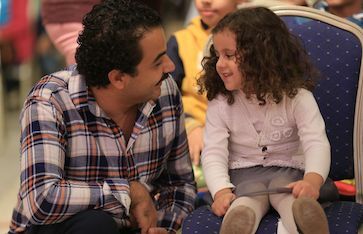 With their program A Riddle and a Story, they are helping children across the region lay down strong foundations of faith and positive values. The popular worship show Family of Jesus is transforming children’s lives with its message of love and inclusion. On a recent trip, the SAT-7 KIDS team brought life-giving worship to those who need it most – isolated children starved of love and peace. In more good news for the thriving SAT-7 KIDS channel, the number of viewers getting in touch grew by 32 percent in 2018. In their many thousands of comments, children and parents reveal how SAT-7 KIDS has helped them grow and flourish. Where their societies may offer them stigma and shame, the program City of Stars welcomes children with mental health issues with love. 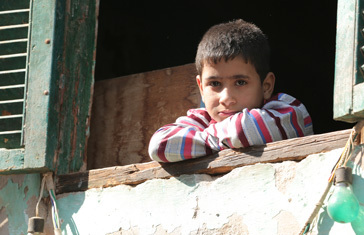 The SAT-7 KIDS program seeks to support this marginalised group by giving them a voice. The Middle East and North Africa (MENA) is now greater than ever. 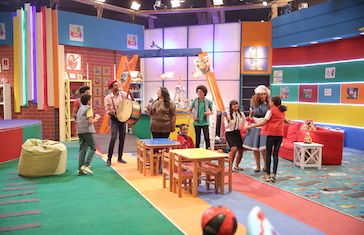 The research revealed a growth in the number of Arab children watching SAT-7 KIDS as well as a high proportion of parents saying that the channel is helping their children. Two special productions have been prepared for SAT-7 KIDS’ Christmas schedule. The crew visited a children’s cancer hospital in Cairo, Egypt to bring joy to the young patients. 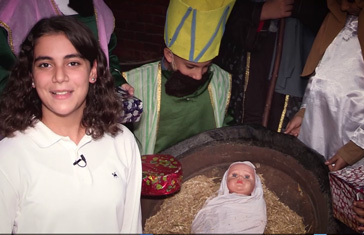 Another production offers children insight on Christ’s humble beginnings by filming in a manger. This Christmas Eve, SAT-7 KIDS will not only tell children the nativity story, it will show them a living example of Jesus’ heavenly peace. 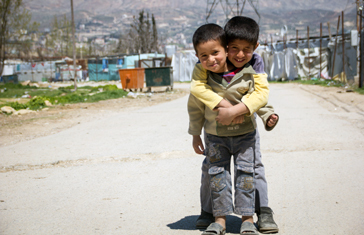 Viewers will meet three children who have all endured great hardship but simply radiate pure joy. 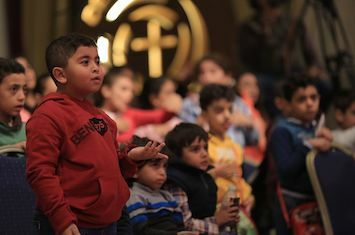 In a part of the Middle East and North Africa (MENA) where most Christians have immigrated or fled for safety, a little voice of faith is growing. 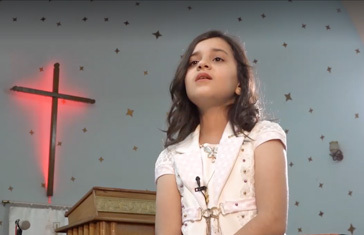 Ten-year-old Rita, the youngest choir member of Mar Boulos Church in Baghdad, Iraq, stands out with her exceptional vocal skills.